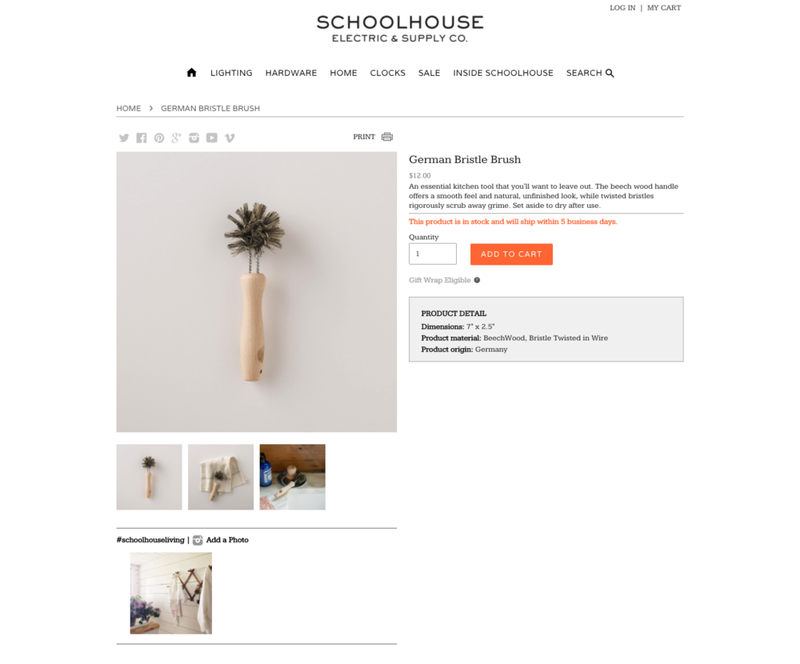 Schoolhouse Electric makes "iconic lighting, furnishings and tools for productive living." I wrote 64 product descriptions for their Spring Collection. This copy appears both online and in stores, and makes my mom very proud when she sees it.